Golden Helix has created VSWarehouse as a solution to store the massive collection of sample and variant data output from your tertiary analysis. The classic VSWarehouse application provides a means of storing and querying on all your variant data from VarSeq projects. On top of storing your variants, VSWarehouse also stores your assessment catalogs and clinical reports. Regarding VarSeq, we’ve made some massive workflow upgrades with CNV detection and ACMG guidelines in VSClinical. Recently, we’ve given plenty of attention to these analysis upgrades from the VarSeq perspective, but now we have upgraded VSWarehouse to store your CNV and VSClinical results. In this webcast we are not only going to explore the new Warehouse capabilities; demonstrating how a user can leverage recorded CNV and ACMG data, but also describe more fundamental values VSWarehouse delivers. Darby Kammeraad is the Field Application Scientist Manager at Golden Helix, joining the team in April of 2017. 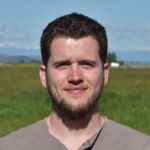 Darby graduated in 2016 with a masters degree in Plant Sciences from Montana State University, where he also received his bachelors degree in Plant Biotechnology. Darby works on customer support and training. When not in the office, Darby is learning how to play guitar, hunting, fishing, snowboarding, traveling or working on a new recipe in the kitchen.